Why is lighting so important in your home’s interior design? Lighting is one of the first things that a guest will notice inside of a home. Think about it for a moment. When you first step through someone’s front door, what’s the first thing that happens? Your eyes adjust to the lighting in that home, bright or dark. You notice if it’s a cool, dimly lit area, or if it’s flooding with natural light. You might also notice the clever placement of light fixtures, bold or subtle, or pick up on the colors and light emitted from their designs. Not only is lighting a hot interior design trend in 2018, it completely sets the tone for the atmosphere of a home. When it comes to your home, a place where you likely spend a majority of your free time, lighting dictates the overall “vibe” of the space. Unfortunately, light can often be overlooked in the interior design process, but if you start with lighting first, you can create a beautifully curated space that either relaxes you or boosts your energy. With the right plan of attack, as well as the proper knowledge of interior lighting, your home can quickly take a giant leap forward in aesthetic appeal. 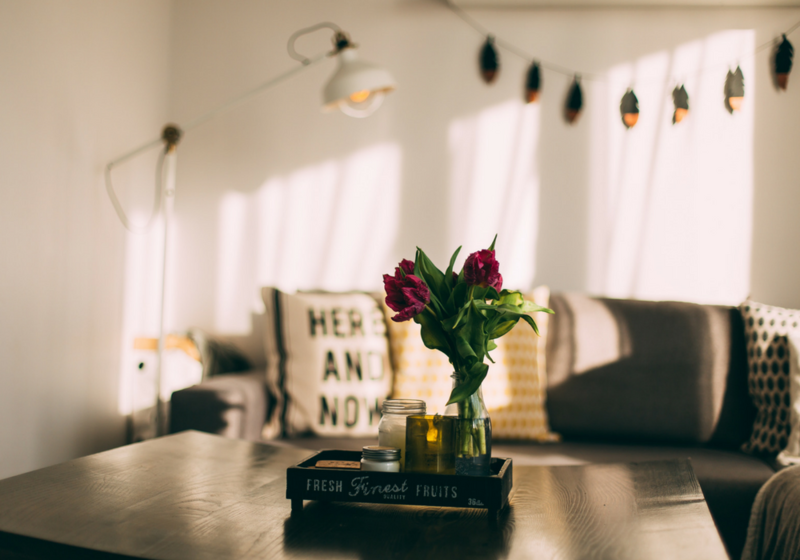 Now that we know how important lighting is when it comes to interior design, here are our tips for enhancing light in your San Diego home. The most important benefit of well-placed interior lighting is the functionality that it adds to a space. There is simply not a ton of use for a room that lacks correct lighting. While there are special rooms in a home that may be designed to feature a dark feeling, any room that is centered on heavy use should be properly lighted. Think: living rooms, kitchens, and offices. Natural light fills us with energy, so when remodeling heavy trafficked areas of your home, talk with your San Diego contractor about proper lighting to get the most of the space. Lighting should be direct and pleasant on the eyes. Current trends in interior lighting revolve around adjustable tones for bedrooms, reading areas, and even kitchens. 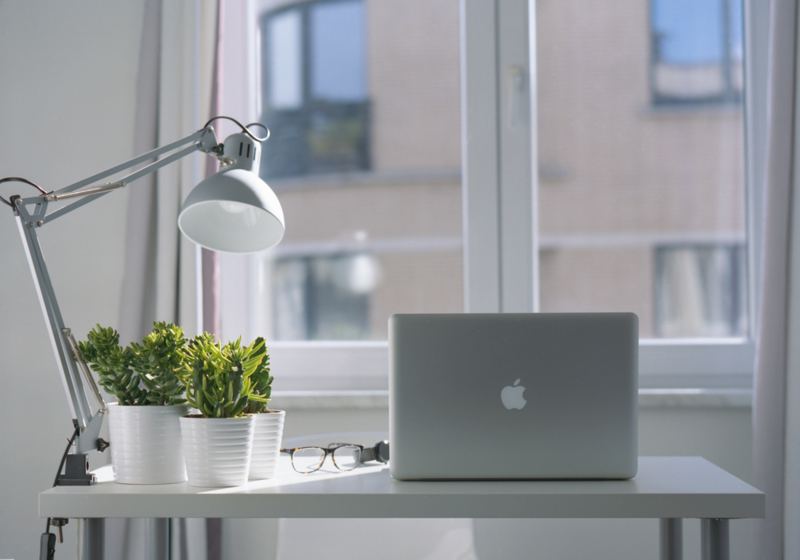 Natural lighting can function as a primary source during daytime hours, but these same areas need to be functional when the sun has gone down. In working areas, make sure that your lighting works hand-in-hand with natural light, as well as features an adjustable style to compensate for different conditions. Many people automatically assume that lighting should illuminate an entire room. While this serves as an important and obvious role of lighting, it is certainly not the only feature that your interior design should have. Specific areas of a room can and should be targeted. There are literally hundreds of designs out there that are built on illuminating certain areas of a room. These areas typically include specific furniture, work areas, and decorative elements. When directional lighting is utilized correctly, it presents a calming and magnificent aura to any room. In addition to these areas, entry ways are also commonly illuminated. In an era where the open floor plan is growing like wildfire, it has become vitally important to accentuate walkways and entryways with strategic lighting. This adds depth to an open room, as well as directs visual points to open areas. There are many effective ways to use lighting successfully in an open floor plan. Your San Diego interior design will benefit greatly from targeted lighting. Lighting adds a certain flare to any color scheme. Current trends are heavily focusing on specific colors of a room, as well as the general tone of a color scheme within an area. Some rooms have warm, yellow & golden tones, and the lighting should reflect that. Other rooms may be more cool toned, in which case, you’d want bright white lighting. Strategically placed lighting in warm-toned rooms will effectively promote the natural appearance that is being sought after. You can direct light straight down the wall with hidden fixtures, or go for a traditional, lamp-style lighting that will provide visual stimulation and depth as well as focused lighting. Darker toned rooms can also enhanced with well-placed lighting. Dark tones are quickly arising as a growing trend in 2018. San Diego, specifically, is among the areas with this focus. Natural lighting works great in a dark-toned paint scheme, as well as dim lighting in low-traffic areas. Not only will this strategy further emphasize the dark color pattern, but it will also provide just the right amount of functional light to aesthetically compliment the senses. The overall design aspect of a room can be greatly enhanced by light fixtures. This trend has long been hot, but is gaining even more steam with current designs. 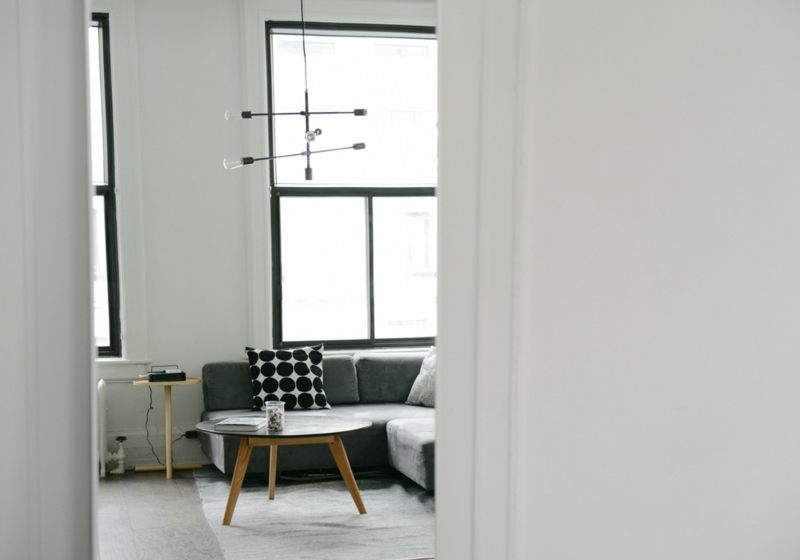 Homeowners are ditching their outdated lighting fixtures and installing bold lighting fixtures that double as focal points. There are several styles of lighting fixtures to choose from, between mid-century modern, to bohemian, contemporary, minimalist and more. 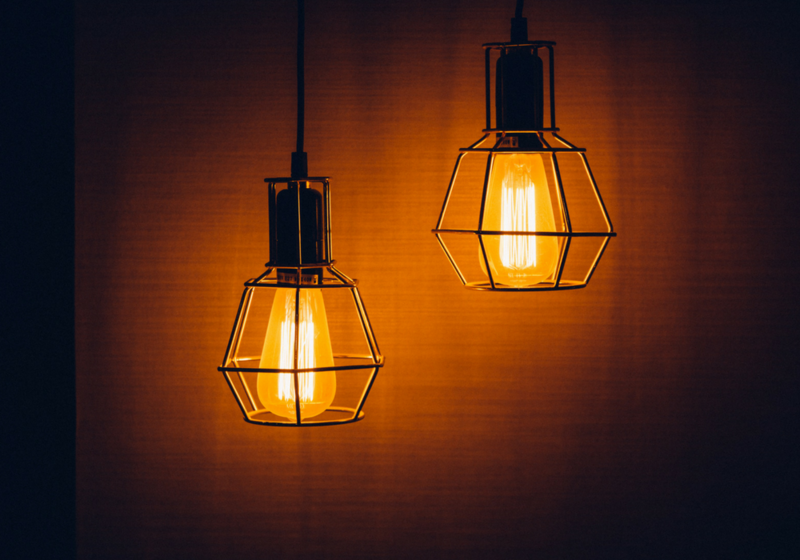 If you’re not sure which fixture would pair nicely with your interior design, consult with an expert who can help you source the perfect lighting! Kitchens islands can be a great place to utilize stylish light fixtures that correlate with the overall design and floor plan of your kitchen. Entry halls and bathrooms will always call for carefully planned lighting. Working light fixtures into your San Diego interior design is essential to pushing your plan to the next level. Lighting is one of those aspects of an interior design that is commonly left behind. You shouldn’t make this mistake! Your lighting should complement the overall tone of the room, as well as match the design of the entire area. By utilizing strategic lighting, you gain the ability to both enhance the look of a room, as well as the overall functionality. If you have any questions about interior design, our team of experts is here to help!